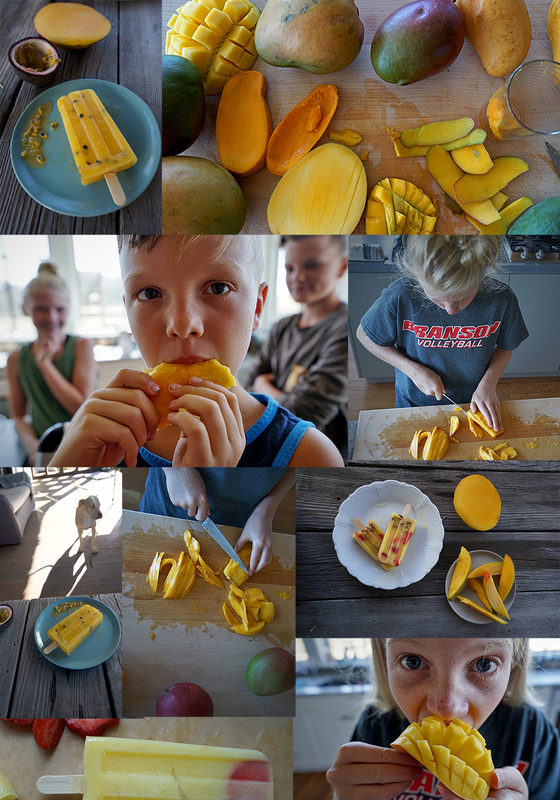 Creative Mango Popsicle Recipes: Taste tested by adults, kids and dogs! 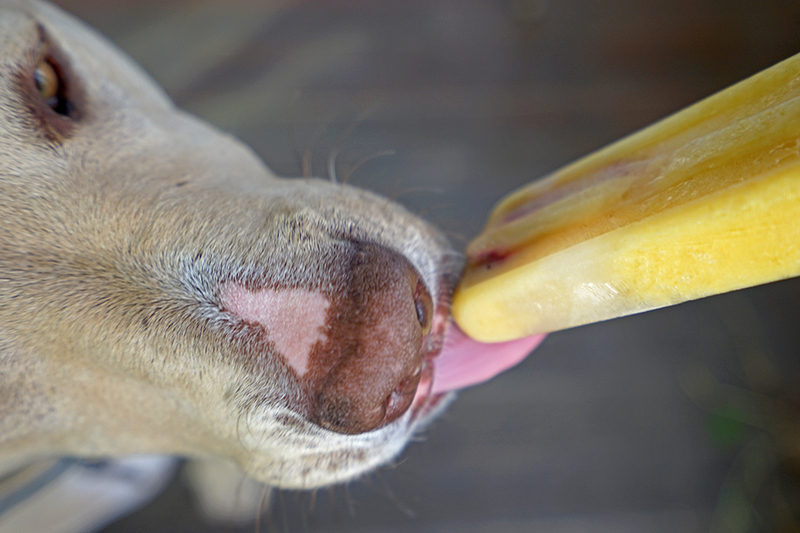 Kids, adults, and even dogs, love the refreshing, ice-cold flavor of fresh fruit popsicles on a steamy summer day. 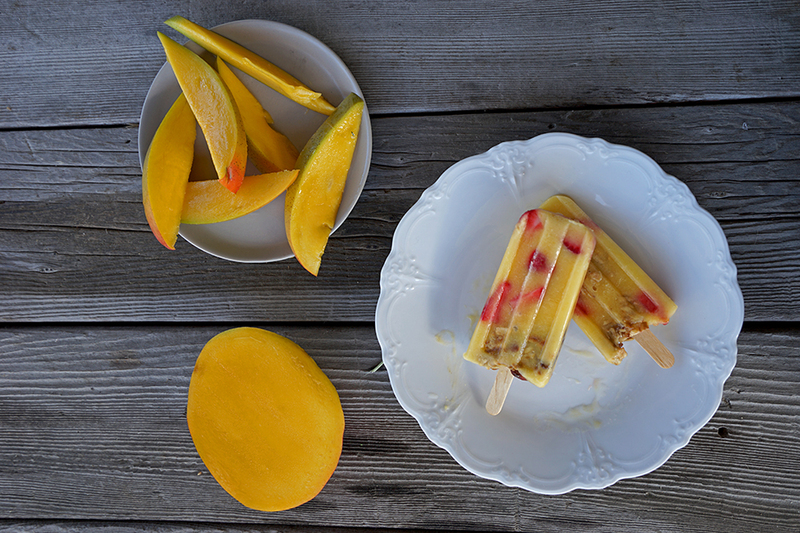 A mango’s natural sweetness and tropical vibrancy is the perfect component for healthy, naturally sweet popsicles that you can eat day and night! 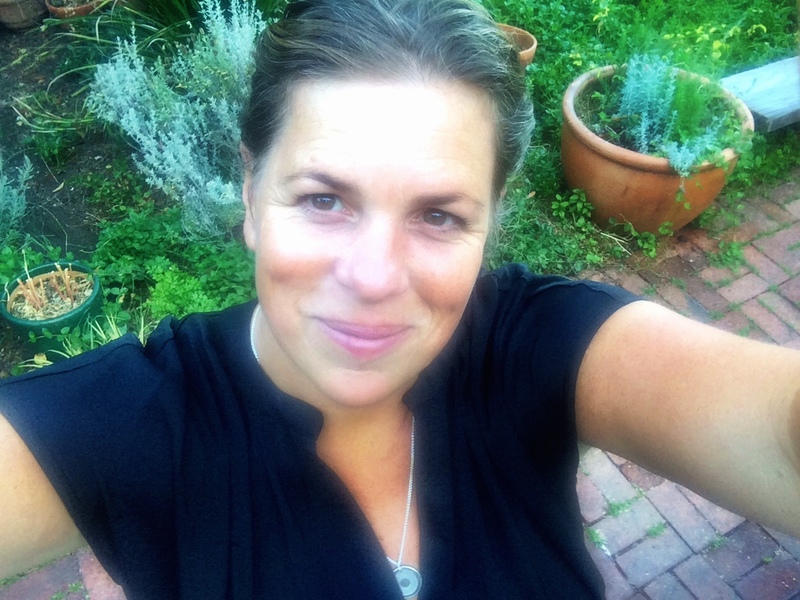 Chef Svea and I threw a popsicle party in the Crespo Organic Kitchen last week, turning all the creative ideas we had swirling in our heads into in-the-flesh sweet, frozen treats. We had a few taste testers guiding us—even my dog got involved (as is typical of him). 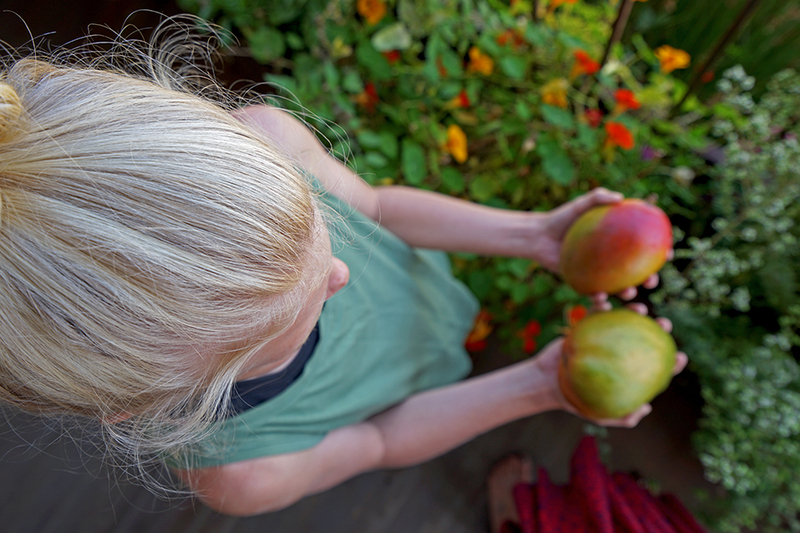 We experimented using different mango varietals and stages of ripeness. We tinkered with kinds of sweetness, using honey and mango pit syrup as sweeteners and experimenting with not adding sweetener at all. What did we learn? Individual palettes prefer different kinds of popsicles, in the same way that each palette prefers a different varietal of mango. Though they all turned out to be amazing, we couldn’t agree on our favorites. I preferred the Tommy Atkins mango varietal in all of these popsicle recipes. They added an excellent balance of tart and sweet, with a punch of vibrant flavor. 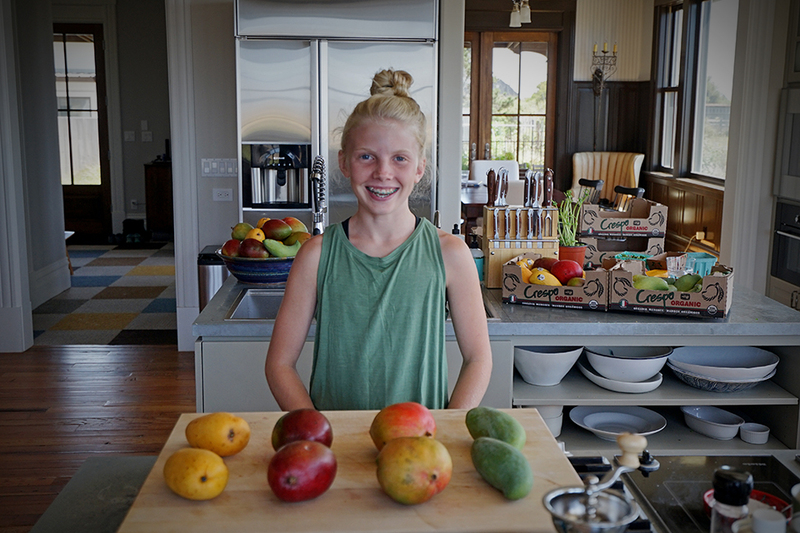 Chef Svea favored the Kent mango varietal, noticing that they were not only sweeter and richer, which she preferred, but smoother with little noticeable fibers (she has braces; she should know). A few of our tiny taste testers chose the Ataulfo popsicles as their favorite, but I think that’s because they tasted the sweetest—way too sweet for my lack of a sweet tooth. All in all, I suppose the Kent and the Tommy Atkins were the cumulative favorite varietals. Of course, the Keitts would have likely been the best of all, but those are just on the verge of becoming available! Here is the aftermath of our popsicle party! Try the recipes with whatever varietal you have available. Each varietal will make the recipe taste unique. 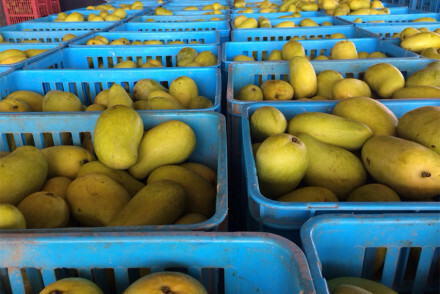 Make sure your mangoes are ripe, but not overly ripe. Overly ripe mangoes work well in smoothies and sauces, but popsicles need more tart notes than an overly ripe mango has. Place the mango, banana, yogurt, honey, and water in a blender, and blend until the mixture is smooth and creamy. Place the strawberries in the bottom of the popsicle molds. Pour the smoothie mixture into the molds until the molds are full. Place the popsicle mold covers over the popsicles, and insert the sticks. 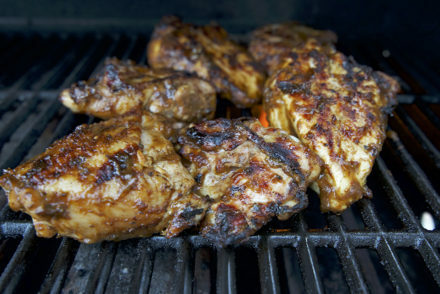 Freeze for about 4-6 hours before eating. You can also freeze this recipe in ice cube trays and blend with regular milk of choice for an easy morning smoothie! 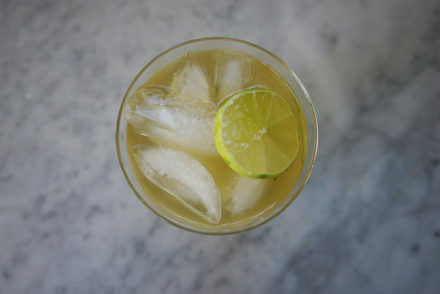 Place the mango, water, honey, lime zest and juice in a blender, and blend until totally smooth. Add the fruit and seeds from the passion fruit, and pulse on low for just a few seconds, allowing the passion fruit to mix in but not chop up the seeds. Pour the mixture into popsicle molds and freeze for 6 hours. This is a multilayered popsicle. Prep all your ingredients and layers ahead for optimal efficiencies! Choose your preferred popsicle molds. The recipe should yield about 10 -12 normal sized popsicles. In a blender, combine the matcha, hot water, coconut milk and 2 teaspoons of honey, and blend until totally combined and creamy. Set aside in a glass measuring cup or other easy to pour cup. Clean your blender and combine the mango, water, coconut milk and remaining teaspoon of honey, and blend until smooth and creamy. Also set aside in a glass measuring cup or easy to pour cup. 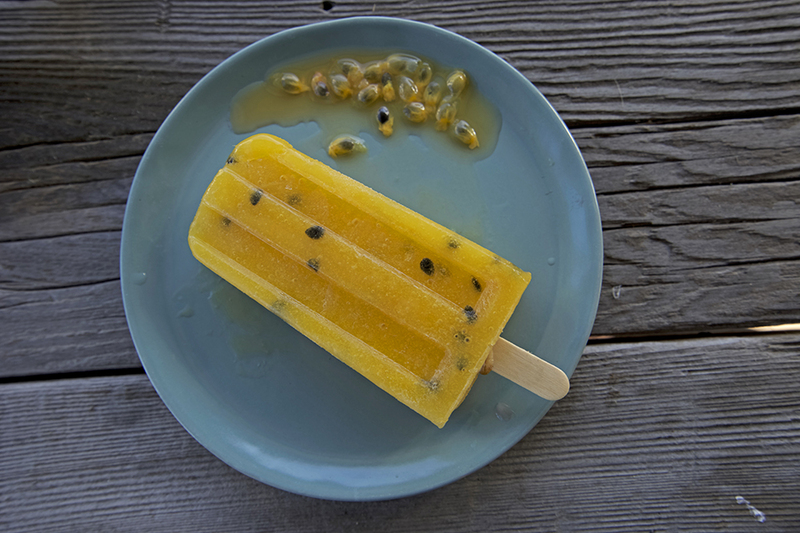 Starting with a mango layer, pour a portion in the bottom of each popsicle mold. 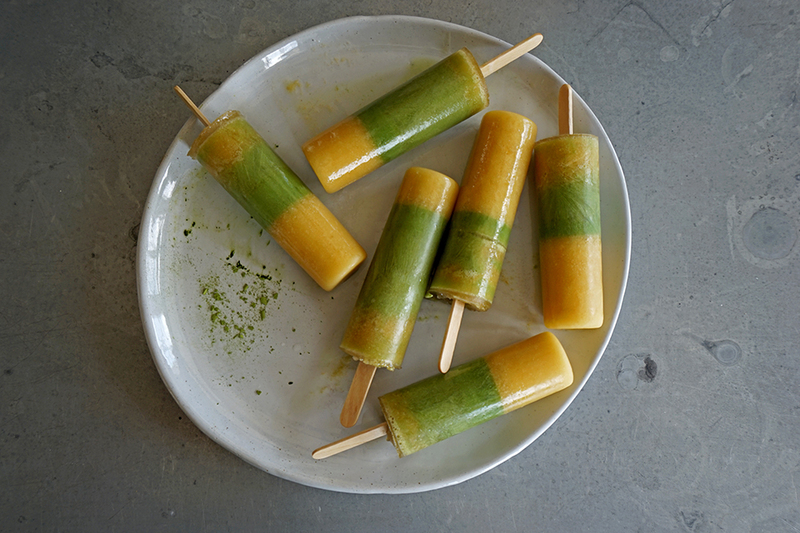 This recipe yields 3 layers of each flavor, depending on the size of your molds, calling for the mango mixture to be thicker layers and the matcha layers to be thinner. Place the molds in the freezer for about 10 minutes in between each layer, before adding each of the next layers. Once your layers are complete, assemble the tops of your popsicle molds and insert your popsicle sticks. Freeze popsicles for at least 6 hours before eating! 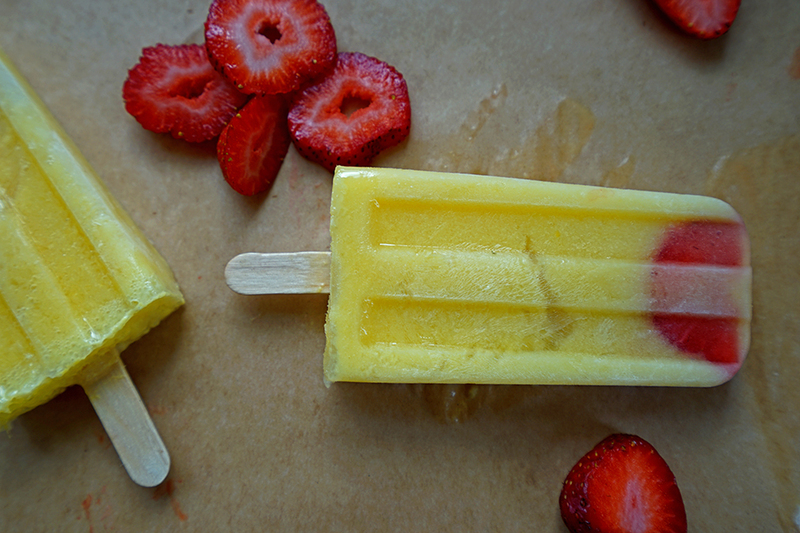 Eat these healthy ice cold treats for breakfast on a hot day or for a healthy anytime snack! Place the mango cubes, yogurt, honey and water in a blender, and blend until totally smooth. Pour the mango mixture into the popsicle molds, filling a little over half way. Place about 3-6 slices of strawberries into the popsicles molds pushing them down to various parts of the mold, bottom, middle and top. Moisten the granola with a little of the mango mixture, and fill the remaining space of popsicle molds with the granola. Cover your molds, and insert the popsicle sticks. Freeze for at least 6 hours before eating. Popsicle Tip: Running hot water over the outside of the popsicle molds is the easiest way to remove popsicles from most molds. Mango Merchandising- It Really Works!